Adults and Teens 13+! Someone’s killed Zeke Calhoun, the richest man in Cactus Gulch! If you’re under 18 you need to bring a signed parental permission form (see below) or attend accompanied by a parent or guardian. 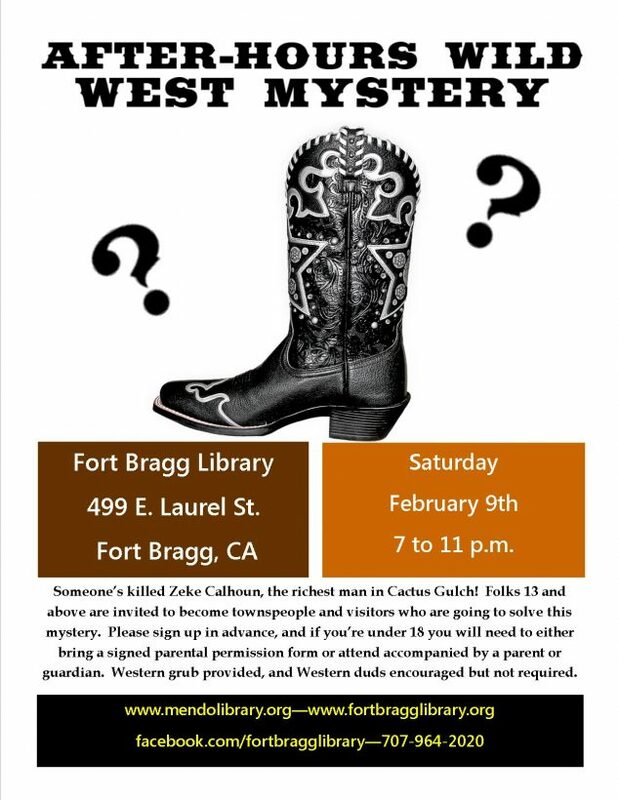 Western grub provided by Friends of the Fort Bragg Library. Western duds (costumes) are encouraged but not required.